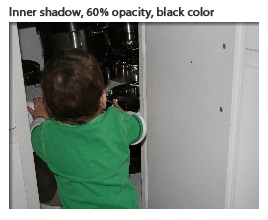 Another new feature in Adobe Captivate 5.5 is the ability to add shadows to your objects. Again this was possible to do in Adobe Captivate 5 by using the Effects feature but it was cumbersome and time-consuming work. This is yet another feature that will save time in your daily production work. I almost always use subtle shadows on images or interactive areas to give the visual appearance of depth. It’s a nice graphical touch and – in my opinion – makes the end product more pleasant to look at for the user. 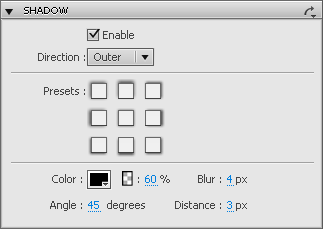 Until now I have always added the shadows in Adobe PhotoShop, which of course takes time as you need to open the asset in PhotoShop, apply the shadow, save the image again as a PNG and finally import it into Captivate again. 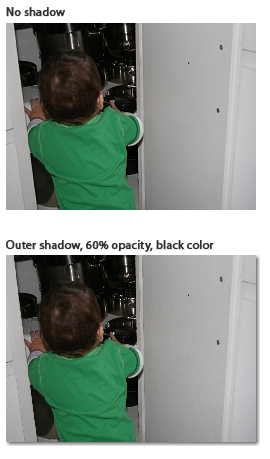 Now I will be able to apply shadows for a large part of my assets directly in Adobe Captivate 5.5.